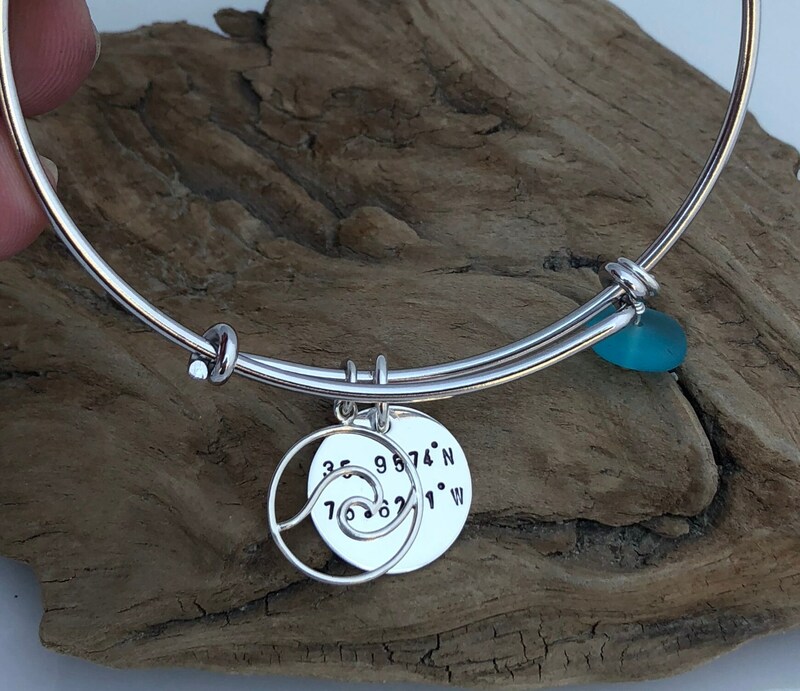 Choose your favorite coordinates to have stamped on this bracelet. 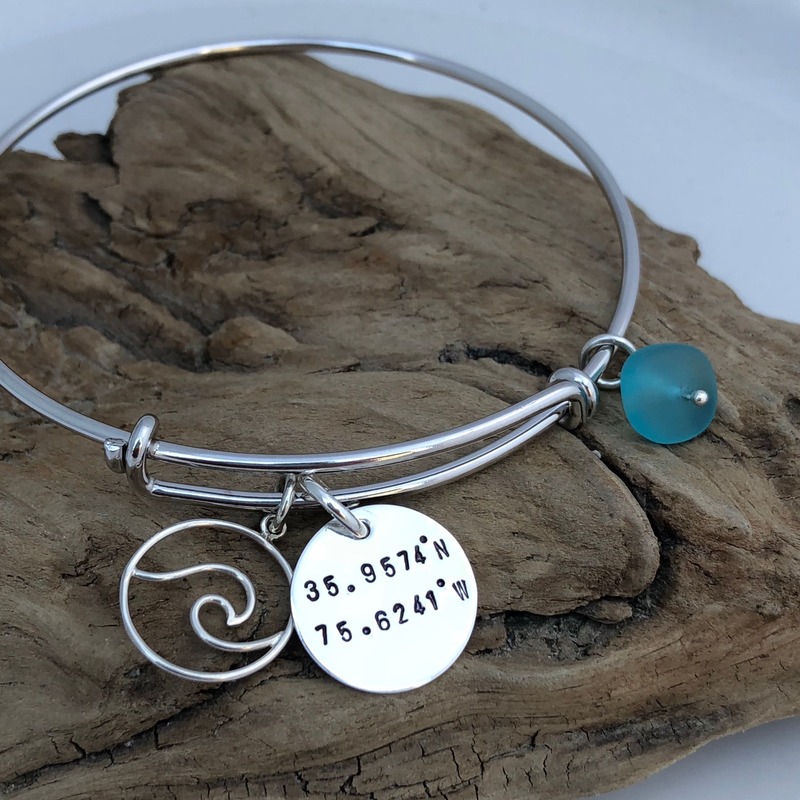 Includes sterling silver coordinates round pendant, sterling silver charm and sea glass drop. This bracelet is TARNISH RESISTANT. The bracelet is made of rhodium plated brass. Rhodium is a platinum product and will not tarnish. 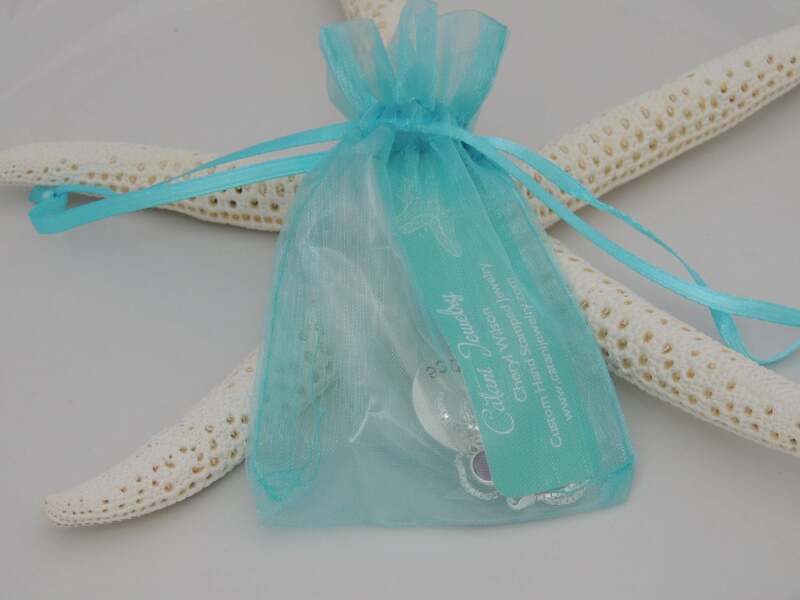 This bracelet is an excellent, low cost alternative to sterling silver. 1. Choose your sterling charm from the first drop down menu. 2. Choose your sea glass drop from the second drop down menu. 3. 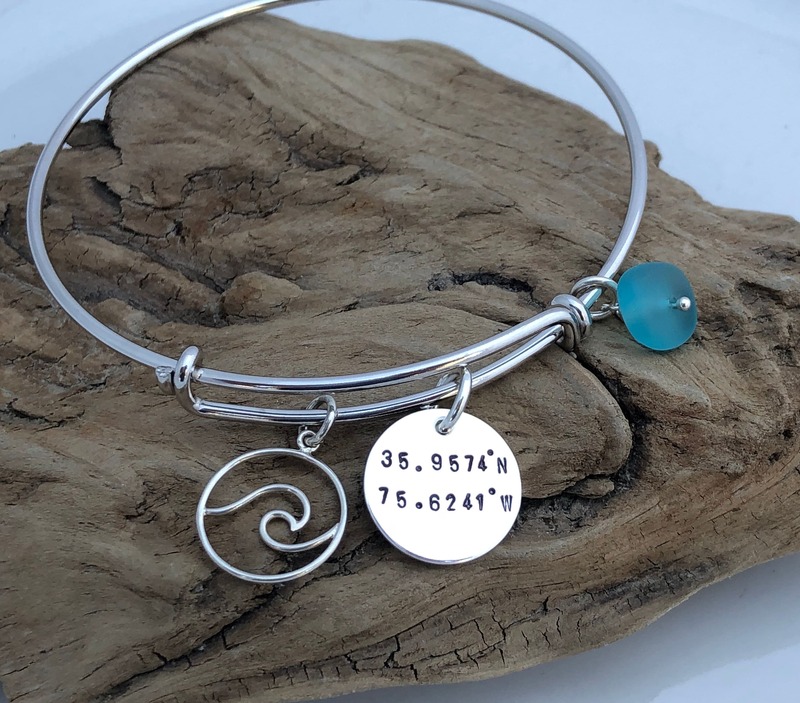 Please leave me a comment in the notes to seller section at checkout with the coordinates you would like stamped. Thank you.